Many languages appear to be facing troubling times: as internet content mostly uses widely spoken languages, minority languages face extinction as their speakers turn to established languages to communicate in. When thinking about extinction, the first thing that comes to mind for most people is the extinction of animal species, brought on by climate change and the disappearance of natural habitats. However, Ben Richmond believes human languages are going through a mass extinction as well – in his article on Motherboard, he explains that the diminishing number of languages in the world can be attributed to the wonderful realm of the world wide web. To strengthen his argument, Richmond refers to a paper published by PLOS One called “Digital Language Death.” In this paper, András Kornai predicts that only five per cent of the 7,000 languages that are spoken across the globe will find their way to the internet. Richmond admits that languages have become extinct for as long as there are present on the earth; however, the Endangered Languages Project states that this process is now happening at an alarming pace that has never been encountered before. According to a page on the UNESCO website about endangered languages, Richmond says, languages disappear when their speakers adopt another, usually more prominent, language. UNESCO also states that languages can be threatened by both external (military subjugation, for example), and internal (a changed attitude towards a language) forces. Kornai believes these forces have been intensified by the internet. Richmond says you can recognise a dying language by the loss of three things: function, prestige and competence. He says Kornai stated that the internet, which operates as one big, globalized world, is basically a monoculture. There are only 250 well-established languages on the web; 140 others are present in the margin. According to Richmond, only 2,500 languages will continue to be spoken in the next 100 years, and even fewer will be featured online. Of course, Kornai properly researched his field of interest, Richmond says. He started his vitality test on Wikipedia, which he describes as being “among the very first active language communities.” Thus, he believes it can be used to find out what languages are slowly but surely making their way to the internet. He claims that if a language does not exist on Wikipedia, the language’s online presence is definitely not growing. 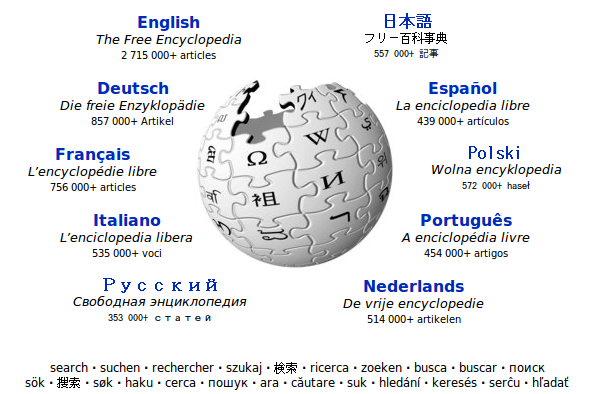 Richmond states there are 533 proposals for new languages on Wikipedia, which is over twice the amount of existing languages, but according to Kornai’s estimations, only a third of these proposals will obtain the required five active users and become a real Wikipedia language. Doing online business thus involves a “self-perpetuating” problem, Richmond says. Online business is often conduction in a FIGS (French, Italian, German, Spanish), CJK (Chinese, Japanese, Korean), or former colonial empire (Dutch, Russian, Portuguese) language, which means a loss off function for other languages. Moreover, these languages also lose their prestige as many people take the phrase “if it’s not on the internet, it doesn’t exist” to heart. Lastly, speakers of the languages also lose their competence as they no longer use their own language to communicate in. All languages that do not have a steady presence on the internet, Kornai says, are slowly obtaining a “digital heritage status:” meaning there is online research material available in these languages, but they are not used by native speakers that surf the web. According to Ross Perlin, many languages fail to make it to the internet because they don’t have a writing system. Moreover, as 96 per cent of all languages are spoken by merely 4 per cent of the world’s population, it is very hard for these languages to establish themselves on the web. According to Richmond, Kornai believes the disappearance of languages is not very favourable. He says that all languages depict a different world view and culture and are a representation of how its speakers think. It is a representation of culture, even when this culture faces oppression. Perlin believes face-to-face resources will help non-written languages survive, but Kornai has his doubts about this. He compares these languages to hunter-gatherers and nomad pastoralists, left behind by urban agriculturalists who have moved to the digital world. Richmond does not believe these languages will really be left behind: after all, he says, the real world still features hunter-gatherers as well. Minor languages will still be spoken in small parts of the world. They might not get their own Wikipedia, but he thinks there will at least be a Wikipedia page about each of these languages. Moreover, as the internet is a great way to preserve a language, knowledge about the languages will still be available when the language’s last speaker disappears.